Dominic Schwebs has been training in martial arts since 1991. He wants to use the training his instructors have taught him, and pass that along to his students. He became an assistant to the instructor in 1994 and started teaching his own classes in 1999. He feels there is nothing more rewarding for an instructor than to see a student achieve their goals. 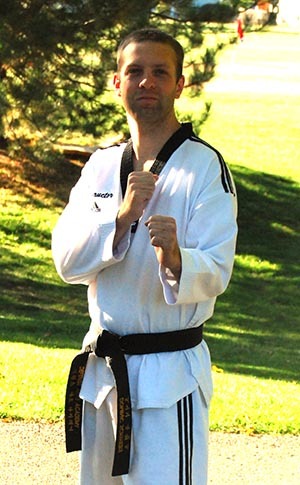 Mr. Schwebs enjoys the competition aspect of martial arts and is an active competitor in both Taekwondo and Jiujitsu. He also enjoys learning and teaching the self defense aspect of martial arts. Mr. Schwebs is always challenging himself to improve and does the same for his students.